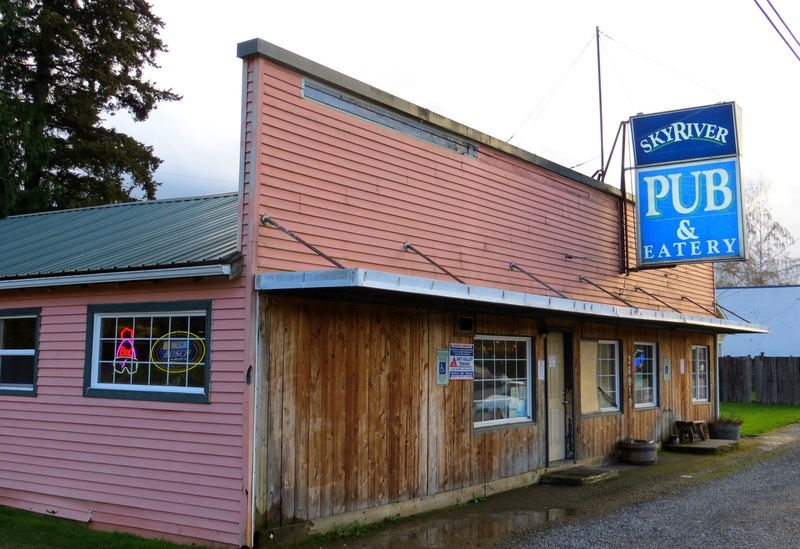 Up in Sultan, just three miles down the highway from Bubba's Road House, is the SkyRiver Pub and Eatery. 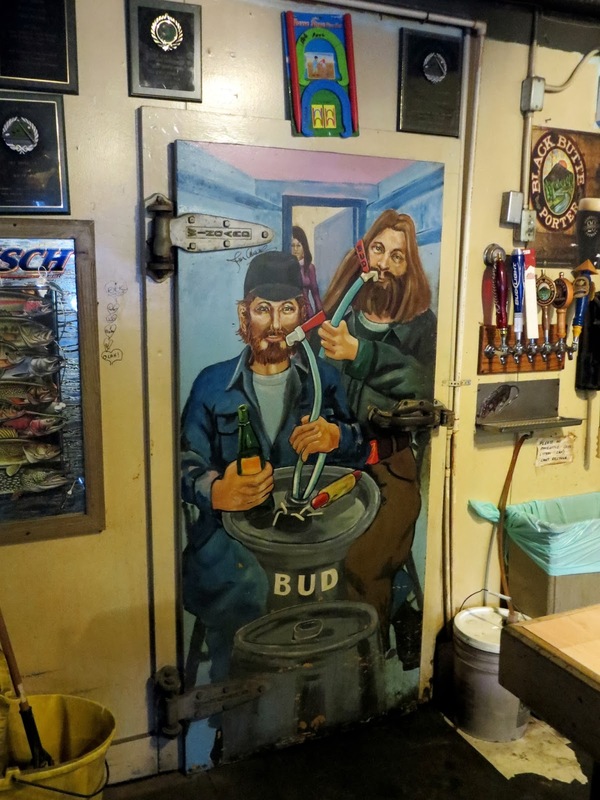 If a "pub and eatery" conjures images of expensive, finished wood, rows of microbrew taps, and platters of hot wings, the SkyRiver is going to be a bit of a surprise -- this pub is a ramshackle dive just up from the Wallace and Skykomish river. 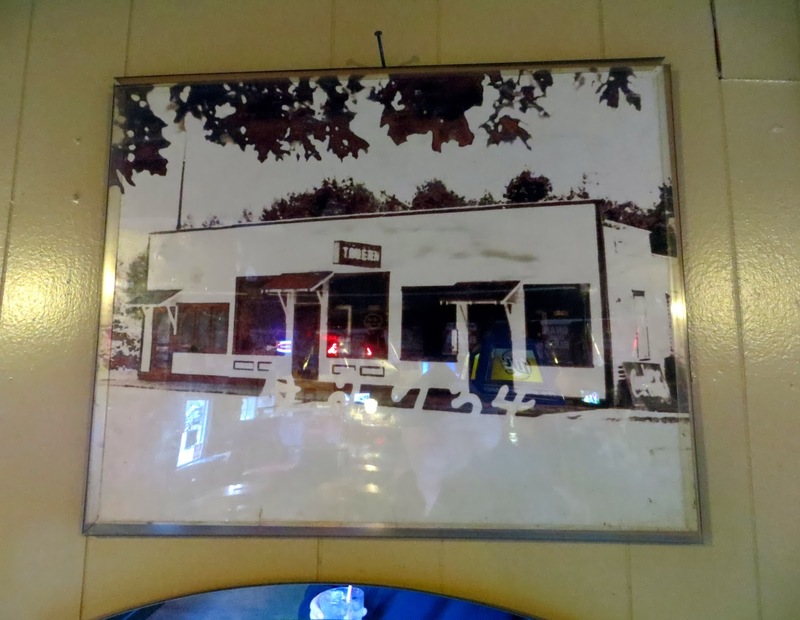 The building is very old -- in tax records it is listed as having been constructed in 1900, which usually means an unknown number of years before 1900. Patron Wayne told me it was once a lodging house for railroad workers, and has been a bar since at least the 70s -- possibly hosting hippies attending the big Sky River rock festivals. In any case, it's just the sort of place I'm hoping for when I drive through an area like this. still comes into the place; he's about 60 now. August 2018: This is the former Great Northern passenger depot. You can watch the BNSF trains in the back yard. 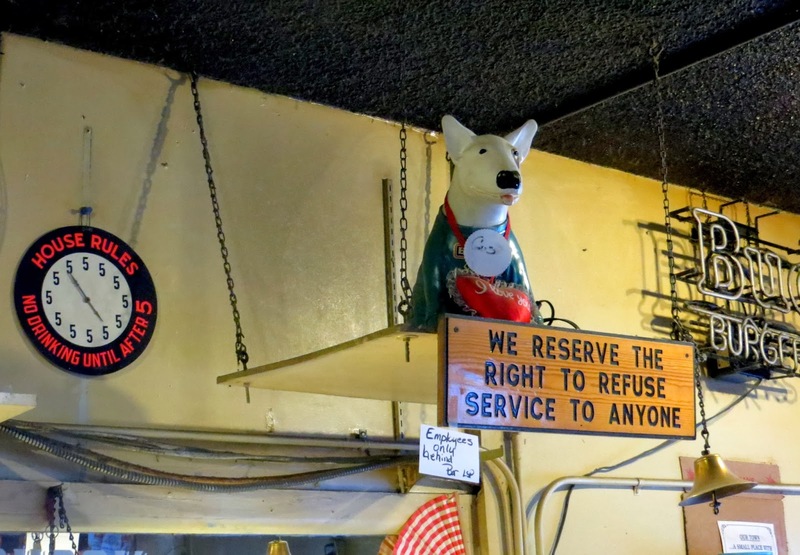 Friendly bartender and customers. The bar foot-rail is a railroad rail.